7 Smart, Powerful Reasons to Surround Yourself with Rockstar People! I just came back from an absolutely amazing women’s event in Manhattan Beach, California where I spent 2 1/2 days connecting, networking and learning from fantastic, high quality women. The people at this event just ‘got it’. They were super positive, authentic and we learned so much from one another. What I wanted to do before leaving the event was bottle up ALL that energy, inspiration and support and always have it. Guess what? We CAN always have it. But we must always keep focused on it… surrounding ourselves with rockstar people! You know how it feels when you surround yourself with the best. But here are some reminders why you always want to keep amazing company. If You Want To Be Your Best You Must Surround Yourself With The Best – If you want to be your best, of course you can do a lot on your own. However, when you surround yourself with amazing people, so much more can happen together. Positive, inspiring people who ‘get you’ will get you pumped-up to do even more than what you think you are ever capable of. They Pump You Up When You Are Feeling Down – Every day is not going to be a great day, but when you have awesome people by your side, you’ll notice your day getting that much brighter. Support is so essential in life. Quality people will pump you up just when you need it most. They Stretch You Out of Your Comfort Zone – It is so important for us to hang around people that push us past our comfort zone. Sometimes when we are doing things on our own we get into a safe space. In order to learn and grow we should really step it up a notch! They Are Giving People – Those Are Quality Relationships – The absolute last thing you want to do is be around people that it’s all about them. When you hang around really awesome people, they know the importance of giving to others. And you want people in your life that are highly supportive. That’s what real quality relationships are about. Quality People Bring Different Perspectives to Life – When you surround yourself with really awesome people, they bring new experiences and ideas to you. It’s great to have people around you that are just like you. But don’t be afraid to surround yourself with people that will bring a whole new level of living to you. Life Is Never Boring. Awesome People are Always Learning and Growing – Rockstar people are never boring. They are super positive. They have a real zest for life. They are always looking to learn and grow which is really important in this journey of life. It’s Fantastic For Your Health and Wellness – Simply put, being around amazing people is good for your health. Life is short. We need to do good things for ourselves and being around rockstar people is one of the important things to focus on. My trip to Manhattan Beach connecting with fantastic people was a great reminder in my life of the importance of surrounding myself with the best people. Right now…. I want you to write down the people that are the rockstars in your life. Then let them know how much you appreciate them! Life is too short to be hanging around people that drag you down. Don’t you agree? Would love to hear from you! What are your thoughts on surrounding yourself with the BEST people? Post below! 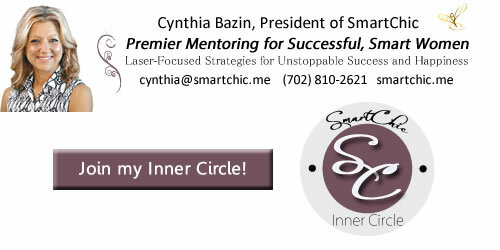 I would love for you to join my SmartChic Inner Circle! 365 Days of Mentoring, Support, Inspiration, Community and Networking. My passion is your success and happiness. https://smartchic.me/inner-circle Let’s get you started today! The reality is being around positive people is the way of life. One who walks with the wise becomes wise, but whoever keeps company with fools only hurts himself. Great reminder, Cynthia. So often we develop a circle of friends that, despite the best of intentions, fail to grow with us. The people I surrounded myself with in my 20s are not the people I need to challenge and support me in my 40s. As our aspirations change, we must reevaluate who we surround ourselves with. In this age of social networking, we have the great benefit of no longer being limited by proximity. We can now surround ourselves with the best, the brightest, and the most supportive from around the world. 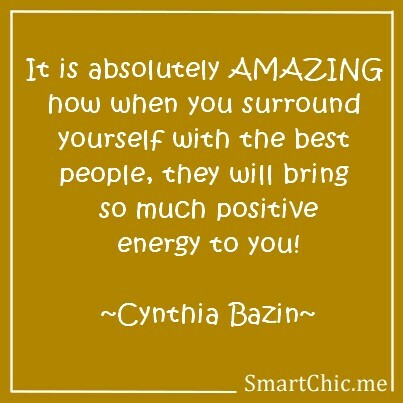 A big shout out to you and your Inner Circle, Cynthia for bringing a group of Rockstar women together!!!!!!! Great post Cynthia. It is very true that ‘who we hang out with is who we become like’ and it means that we are not flying solo. When we have quality in our life we can give quality back. Having people who like or work in the same areas of business that we do means we can bounce ideas or get feedback and that helps us. I always enjoy reading your blog. it is very thought provoking…glad you are in my circle of influencers. I am very lucky to have surrounded myself with supportive, positive people. At times when I’ve felt like I was low on positivity in my closest family and friends I have been fortunate to find friends in social media to fill that gap. One of the best examples is Cynthia Bazin – who always has been a rockstar and she’s connected me to other rockstars (and I’ve tried to do the same for her). One of the things I also strive to be is a rockstar FOR my friends – I don’t have to be perfect, but I try to be positive and supportive. I so love turning to my smart chics for support and they never fail to make me feel good about myself. 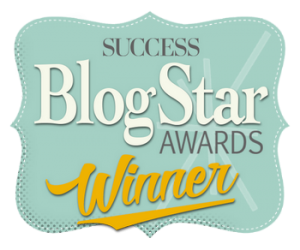 Great blog Cyn!! I love this Cynthia! Every point you made is right on! I can’t rate them on which I think are most important but I can say that the best gift you can give yourself are friends and would be friends who are positive,encouraging, wise, honest, supportive, inspiring, wise,fun loving, and who live integrity. We become like those we associate with.Maybe not right away but you can see the pattern get blurred the more we blend. Choose the pattern you want because you will become it. Great smart people can affect your Health, Success, Wealth & Mental Well Being.. its your choice.. Chose Wisely whom you spend your time with.. The largest rockstars in my life are my family. After that it’s my social media friends. It is good to wake up to or receive a positive message from people like yourself Cindy. Encourage and inspiring others is the key.